Tenor Opera Singer Alex Richardson - Alpha Artists Management, LLC. 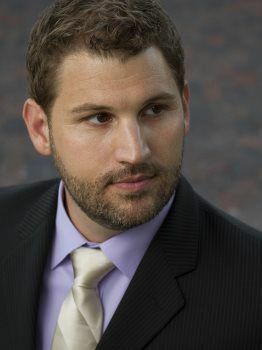 Past seasons has been active and demanding for tenor Alex Richardson where he made his Metropolitan Opera debut as the Shepherd in Tristan und Isolde with Simon Rattle and Asher Fisch conducting and later that season performed in Salome; he was soloist with Oratorio Society of New York at Carnegie Hall in Bruckner’s Te Deum and in Uruguay; and was tenor soloist with the New Haven Symphony in Verdi’s Requiem. Recent and upcoming: He returned to Lincoln Center in an all-Verdi program at Rose Theater; was soloist with the Boston Philharmonic in Beethoven’s Symphony No. 9; and sang with the Southern Florida Symphony in their concert of opera excepts. For the 2017-18 at the Metropolitan, productions of Exterminating Angel and Parsifal; was heard in recital in South Florida in March; in L’amore dei tre re as Flaminio with New York City Opera; performed Alfredo (La traviata) with the Philharmonia Orchestra of New York at Rose Theater; and sang Pinkerton with NYCO in Bryant Park this past summer. This season he sings Cavaradossi with Opera Southwest; concerts with the Las Cruces Symphony; Das Lied von der Erde with the Orlando Philharmonic; is soloist in Mozart's Requiem with the Philharmonia Orchestra of New York; and returns to The Met’s Ring production of Das Rheingold in 2019. During the 15-16 season Mr. Richardson was Alwa (cover) in Lulu; sang concerts with Bridgeport Symphony and Opera Southwest; was the title role of Werther in a debut with Boston Lyric Opera; Tamino in Die Zauberflöte with Orlando Philharmonic; Beethoven's Missa Solemnis in Carnegie Hall with The Cecilia Chorus; a concert with Close Encounters with Music in the Berkshires; and, closed out the season in title role of Peter Grimes at The Princeton Festival. Alex Richardson also completed the U.S. première in the title role of Amleto (Hamlet) by Franco Faccio with Opera Southwest with a recording release and in a concert version with Baltimore Concert Opera to critical acclaim. That season's other engagements include: Second Jew in Salome with Opera San Antonio; Sam in Floyd’s Susannah with Toledo Opera; a return to the Boston Symphony in Szymanowski’s King Roger; concerts with the Carolina Philharmonic; and, New York City Opera concerts as Don José in Carmen. In past seasons he made his Spoleto USA debut as Váňa Kudrjaš in Káťa Kabanová under the baton of Anne Manson; Molqi in The Death of Klinghoffer with Long Beach Opera; a debut with the Los Angeles Philharmonic in a work by Dutch composer Louis Andriessen; a Boston Symphony Orchestra presentation of Salome under the baton of Andris Nelsons in his debut as Music Director; and an all-Beethoven concert at Tanglewood under the direction of Charles Dutoit. Other career highlights include: Steuermann in Der fliegende Holländer and Rinuccio in Gianni Schicchi, The Princeton Festival; Tom Buchanan in The Great Gatsby at the Tanglewood Festival; Alfredo in La traviata and the Duke in Rigoletto with Festival de Belle-Île, France; the title role of Werther as cover with Washington National Opera; and, Rodolfo in La bohème and Cavaradossi in Tosca with Opera Western Reserve. Other roles include; Roméo in Roméo et Juliet, Will Tweedy in Cold Sassy Tree, Fenton in Falstaff, Camille in The Merry Widow, Vaudémont in Iolanta and André in Rufus Wainwright's Prima Donna. Mr. Richardson has also sung under the baton of James Levine, Alan Gilbert, Robert Spano, Rafael Frühbeck de Burgos, David Zinman, Reinbert de Leeuw, Arkady Leytush, Kent Tritle and Miguel Harth-Bedoya. As a roster member of the Marilyn Horne Foundation, he has sung recital residencies throughout America with On Wings of Song. Mr. Richardson holds degrees from the University of Colorado and The Manhattan School of Music and has been honored by the Metropolitan Opera National Council Auditions and the Licia Albanese-Puccini Foundation. He was a Studio Artist at Central City Opera, apprenticed with The Santa Fe Opera for two seasons and is a former Tanglewood Fellow. "Richardson's portrayal as Werther was powerful, sympathetic, and fully-fleshed. The tenor depicted both the sensitive and impetuous sides of Werther’s personality with a voice that was capable of both ringing top note and sweet, floated tones. His singing, especially in the Act III encounter with his love Charlotte, was completely idiomatic in the French manner. Even his long stretches onstage without singing conveyed character, as in the melancholy, downtrodden slouch he affected while seated." "Vocally, Richardson sang with a smooth-toned voice that was capable of capturing the dramatic heights. His swelling high notes caught the unhinged madness of his shouts of “C’est moi,” yet his singing was also capable of a soft glow, as was displayed in his meeting with the cordial Albert. Richardson’s finest singing came in “Pourquoi me réveiller” where his tone blossomed fully with high notes of clarion power to capture the character’s realization that Charlotte does indeed love him."